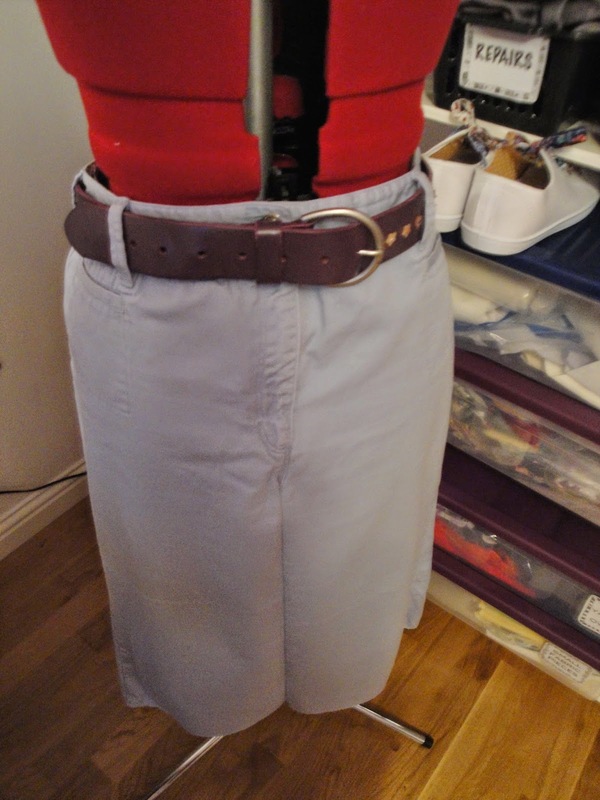 To keep myself awake this evening (must go collect Himself at the Fringe at a rather ungodly hour tonight) I decided to get going on a capri to skirt project sitting somewhere near the middle of the refashion pile. the same shape from the centre front and centre back, winding up with what I suppose one could call a pencil skirt. Haven't been able to wear one of these puppies in a LONG time. Do I machine stitch 'em on or get out the embroidery floss? Or will I be happier with just a good solid wardrobe staple? I love love love the flowers near the skirt hem! I say add the embellishments! Yes to the flower and yes to the floss! :o) Make it memorable I say.